June 27, 2017 at 1:30 p.m.
We will be scheduling more orientations and site tours soon. Please check back. Or use the Contact Us link in the top menu. 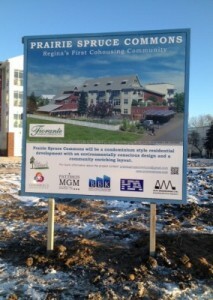 After a long haul of working, waiting, and yes worrying Prairie Spruce Commons is about to start construction. We now know and are ready to tell the world that construction will start in March 2016! 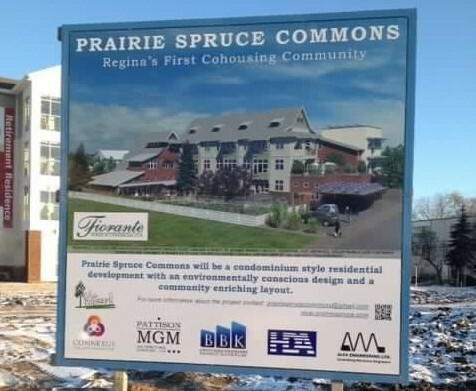 Purchase your unit in Regina’s first cohousing project, Prairie Spruce Commons. ● Buy your unit before August 20, 2015. ● A unit bought is a unit built. ● Construction starts March 2016. A few words stood out for me from my research. Unitarians have a vision of a better world. Connection, belonging and relationships are important to them. They recognize hospitality and care, not stones and glass, to be what their community is built of. The principles of Prairie Spruce Commons are: “being respectful, caring and sharing”. We carry these out in how we make decisions and how we do relate and will relate to one another on an everyday basis. Unitarians value working through difficulties with respect and compassion. They affirm the use of the democratic process. We use our consensus decision-making process to listen to everyone’s voice and to generate decisions that everyone can support. 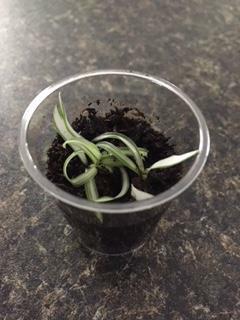 Sustainable living is important to both Unitarians and Prairie Spruce. They value awareness and actions that support the interconnected web of existence. 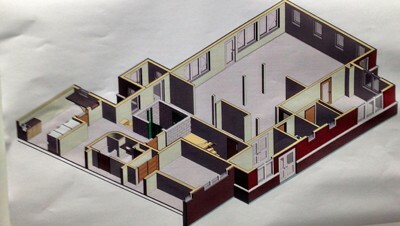 Our building design incorporates many sustainable features, both in the building itself and in how we plan to live in our home, such as reduced ongoing use of resources and use of the communal garden. The way the Unitarians spoke so lovingly of their symbol, the chalice, really warmed my heart. It was described as a living flickering flame cupped in a beautiful container. It was likened to the spark of life within all beings which need oxygen and care to be renewed. This chalice can be a beacon of hope. Our symbol is the prairie spruce tree. 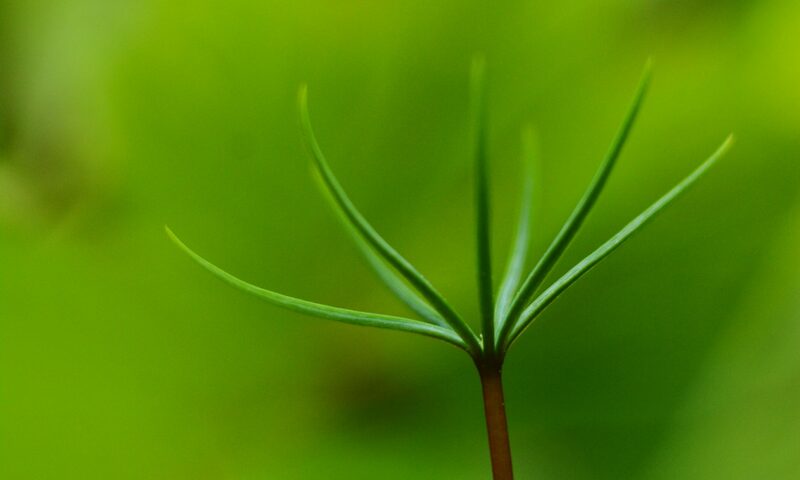 The spruce tree is also a living being, needing the natural elements and nurturing to flourish. Given these, the spruce tree can provide that green hopeful presence in the wintry times of our lives and a cool refuge when things heat up. We are lovingly surrounding our spruce tree with the container of our nurturing community. Our beautiful built-to-last building is merely the visible expression of our values. We are each, the Unitarian Fellowship and Prairie Spruce, building a sustainable and respectful community which values each individual at the same time as espousing values that are based on the collective good. Thank you to the Unitarian Fellowship of Regina for inviting us to talk at your service next Sunday. It is fitting that these two communities who share visions and values are opening up a dialogue. I expect that we will have much to contribute to each other. Grab your brooms and sweep … join us at our inaugural Prairie Spruce Commons curling season bl-Ender! The end of the curling season is fast approaching and we wanted to take the opportunity to get together for a social in the form of a curling “Blender”. Our curling social event will occur on Saturday April 11, 2015 is being sponsored by the Tartan Curling Club located at 1464 Broadway Avenue in Regina. Come with friends or just come and make new friends. Members of the Prairie Spruce Commons community will be there to have fun and support our future neighbourhood curling rink. We would love to meet you and tell you all about our community. You can register as individuals or as groups and get blended into teams. Games are four ends, the score doesn’t matter, rules are optional – fun is mandatory! Ten dollars per person includes ice time, live music and a free beer. You can register via our Facebook event or by sending us an email. The place starts hopping around 6:00 p.m. and curling starts as soon as teams are assembled. Then for the brave or perverse they’re turning half the rink into a skating rink at about 9:00 p.m. Don’t bring your hockey sticks though, it’s not that kind of rink. The alternative country band “Wolf Willow” (no relation to Wolf Willow cohousing in Saskatoon) is coming to play and they will be starting about 11:00 p.m. This is definitely something you should attend. If you miss it you will question the whole meaning of your existence and you will probably start wearing shabby clothes and hanging around in bad places in the company of disreputable persons. Don’t let that happen to you. $10.00 is all it will take to save you from a life of shame. Note: portions of this post were shamelessly plagiarized from the Tartan Curling Club website. In Transition 2.0, on Sunday January 18th in the Cathedral Neighborhood Centre. The optional community potluck starts at 5:30pm and the movie will start at 6:30pm, with open discussion to follow. In Transition 2.0 is an inspirational movie about ordinary people doing extraordinary things. It is about how groups around the world gather to build community in response to challenges such as costly energy resources, financial instability and environmental change. The movie was made by the Transition network, which is a British organization that has inspired thousands of initiatives around the world. The organization’s mission is to inspire, encourage, connect, support and train communities as they self-organize to build community, local resilience and to foster a sustainable lifestyle. You’ll hear about communities printing their own money, growing food in every possible place, localizing their economies and saving local grocery stores from closing down. The movement is also about encouraging people to form local networks, for neighbors to get to know each other, and for people to take pride in their own neighbourhoods. It is not necessary to sign up in advance, but it is greatly appreciated! Our Site Sign is Up! We heard a rumour last week: our sign was going to be up on the lot soon. To say there was anticipation would be an understatement. We checked the site daily, sometimes more than once a day. Then the posts were up and finally a group email was sent to let us know that the sign had been spotted on Friday, November 14, 2014. Anticipation has transformed to excitement. The sign on the lot on Badham Boulevard is announcing this to be the site of “Regina’s First Cohousing Community”. We see the sign as an invitation to take action. Why should you do this? Why should you check out this new form of housing that is coming to Regina? You should do this because this is an exciting development in housing that in just 40 years has spread to many countries and proved successful. You should do this if you are single, a single parent with children, married, married with children or retired. You should do this if you want to own your own unit or may be interested in renting a unit. You should do this if you think when people share everyday chores that it makes less work and you laugh a lot while doing them. You should do this if you see yourself living in a building that functions as a community. A place where when you come home everyone knows your name. You should do this if you want to live a more sustainably happy lifestyle. Don’t hesitate to contact us at any time. We’d love to chat with you over coffee and tell you about our amazing community. You should do this because this is an exciting development in housing that in just 40 years has spread to many counties and proved successful. Members of Prairie Spruce are deliberately creating a sense of place where neighbours will watch out for each other’s safety and wellness. 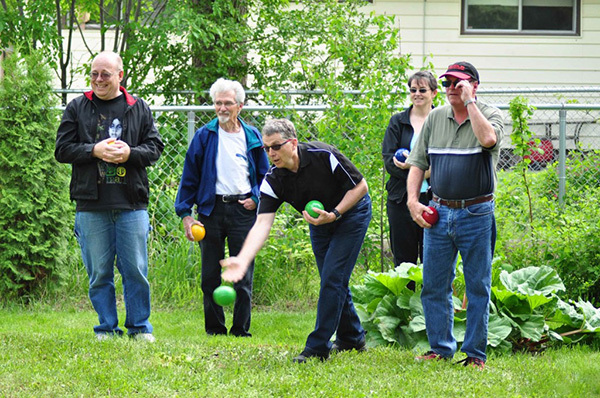 Being well connected to a supportive and caring group of neighbours is healthier and promotes wellness at all ages. Journey to the Heart of Community is an informal information sharing event being held at the Neil Balkwill Civic Arts Centre on Sunday, November 9, from 1 to 5 p.m. Please use the link above to share with your friends who might be interested in this community or to RSVP yourself. We warmly invite you to take this opportunity to stop by and investigate this vibrant community in the heart of Regina. Prairie Spruce Commons has a selection of unit designs to choose from, along with extensive amenities on site. Learn about the LEED Gold certifiable sustainability design features, and enjoy coffee and conversation with members and friends of Prairie Spruce. A short walk down a red clay road to beautiful white sand beaches, on the doorstep of a National Park, surrounded by three winter skating ponds and cross country ski trails, and it is home. Or at least it was home, my childhood home on the north shore of Prince Edward Island. I loved it and still do, but as an adult I discovered I had envy of some of the communities further down the shore from home: the French community of Rustico, the Acadian community of Evangeline, the Celtic community of Bothwell. In addition to their stunning natural beauty, they had (and still have) fabulous music cultures, kitchen parties and cèilidhs. Imagine my surprise when I discovered the answer to my community envy could be found in Regina, Saskatchewan. There is not a white sand beach nearby (at least not one that meets my standards) but on the evening of Wednesday October 22, I had the delight of being in exactly the right location for a kitchen party. That evening. Prairie Spruce Commons hosted their ‘Sharing for the Future’ Concert at The Club on 8th Avenue. 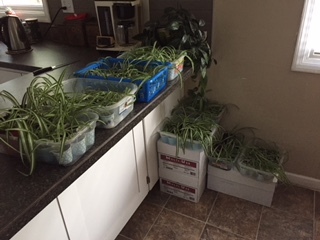 It was a wonderful event with lots of Prairie Spruce Commons friends and new-to-me friends sharing food and the pleasure of a `kitchen party` with Glenn Sutter, the River Time Band, B.D. Willoughby, Jim and Thomas Wright, and their musician friends. I love that it was an all ages affair, with many gathered together for fun. The old adage “location, location, location” is not only about your physical neighbourhood; it’s also about your cultural and community neighbourhood. Although our address on Badham Boulevard is pretty hard to beat for a location in Regina, I’m excited by the way Prairie Spruce is already building a cultural and community neighbourhood identity. Community events like the Sharing for the Future Concert or the special public screening of the fantastic “The Happy Movie” on November 16th showcase our intent to foster community and culture, while enhancing our “location, location, location” at Prairie Spruce Commons. Hope you can join us. PS. Special thanks to Malin Hansen for her leadership in putting this event together!